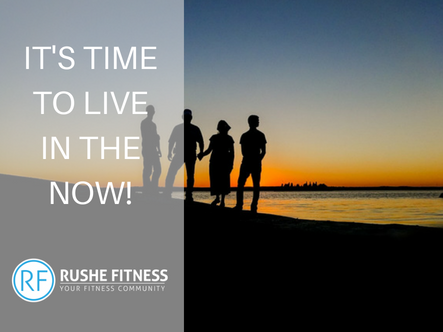 Rushe Fitness | Personal Trainer | Donegal | Ireland/Blog/IT’S TIME TO LIVE IN THE NOW! Have you ever found yourself getting drawn into work and not realising how much time has gone by? Have you ever went on your phone to check Facebook or Instagram for a minute, and an hour later you are still scrolling through the news feeds and not really looking at anything in particular? Have you ever missed moments in your life or your children’s lives due to being constantly distracted by notifications, or memes or by trying to filter the photo and actually missing the real moment? Are you constantly drifting off into your thoughts because of worries or thinking about things that have happened or that MAY happen? It is very easy to lose precious time in our live through these things above. More and more we are living in our minds and in our tech and we are living less and less in the here and now. People put more value on the number of ‘likes’ a post gets than they do on real life interactions. We are worry about things that have happened or things that might happen. We put our work 1st and our families and friends after. We are not living in the here and now and it needs to STOP! Is your virtual world more important that your real world? Do you constantly worry about things? Can you change the outcome? If no, what’s done is done and worrying about it won’t change things. Put a line through it and move on with your life. Are you putting too much in your schedule that others could do, but you find it hard to let go of control? You need to delegate lesser tasks and focus on what is more important. You need to schedule out your day, week and month and put time in for your family. Remember who has been there supporting you all along, you still want them to be there if it all falls apart. Are you losing years of your life due to social media? Set an alarm on your phone that goes off on regular intervals and put your phone down when it does. Does this soumd like something you can do? In it, Leonardo De Caprio plays a character who ‘hacks’ peoples dreams. In the movie, the characters use totems, so they know they are in the now and not in a dream state. 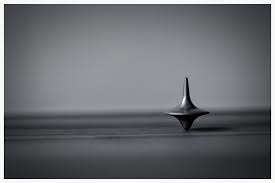 Because the dreams are so realistic, De Caprio’s character has a small spinning top that he spins on a table, if it eventually slows and falls, he knows that he is awake. If it keeps spinning, he knows that he is still asleep and in a dream state. We all need to find a totem for ourselves. The 4 questions I asked at the start, did you answer yes to any of them? Maybe you answered yes to ALL of them? If you did, it is time to start stepping back from living in your head, in your work and in the virtual world of social media. It is time to start living in the real world. A simple idea is to have your Totem close by, so it is always in your eyeline. Do you have a water bottle you use regularly? Do you have a coffee cup at work you always drink from? Either of these can be great to use as they will be constant reminders to take a break from what you are doing. 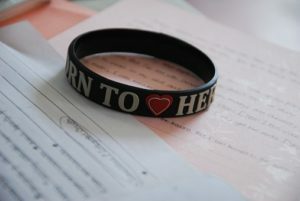 Wearing a bracelet, or wrist band or something else around your wrist is a brilliant way to keep it on hand always. Every-time you pick up your phone, you will see it. Every-time you drift off you will see or feel it. Every-time you get lost on your computer at work, it is there in your eyeline at your keyboard. Your totem is something to snap you out of what you are doing and bring you back to real life for a moment. It really doesn’t matter what you use, as long as you get into the habit of spending time in real life, with your family and friends. If we all put as much value in them as we do in what we get lost in, we would be very wealthy indeed!